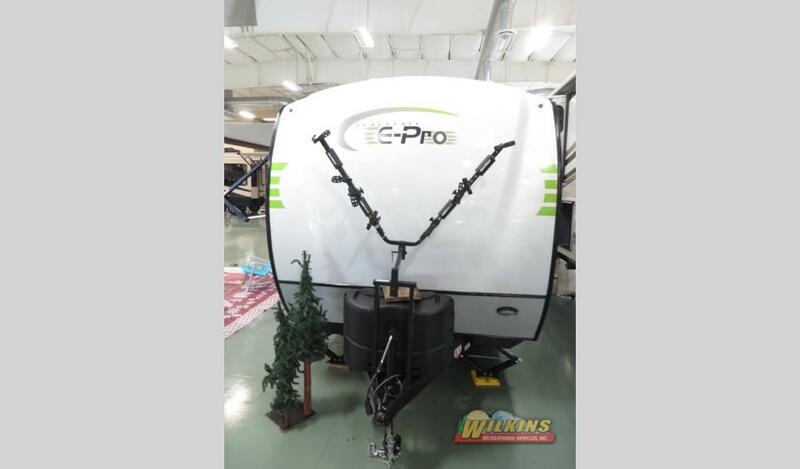 Forest River Flagstaff E-Pro Lightweight Travel Trailer: New At Our Bath Location! 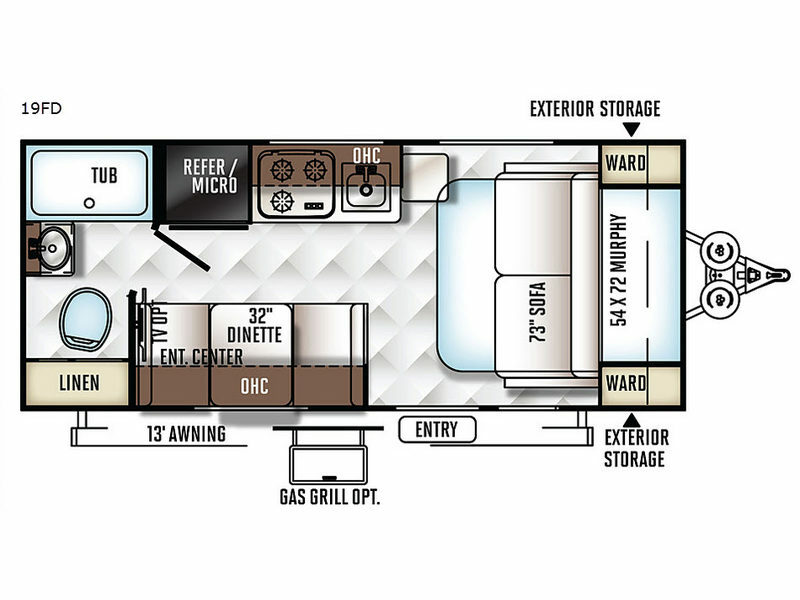 RV camping is more popular now than ever. This may be partially due to the increase in the amount of easy to tow, lightweight campers available on the market today. Each new year brings new advancements in technology and construction. Leading the way in innovation, this year Forest River has unveiled the Forest River Flagstaff E-Pro Travel Trailer. 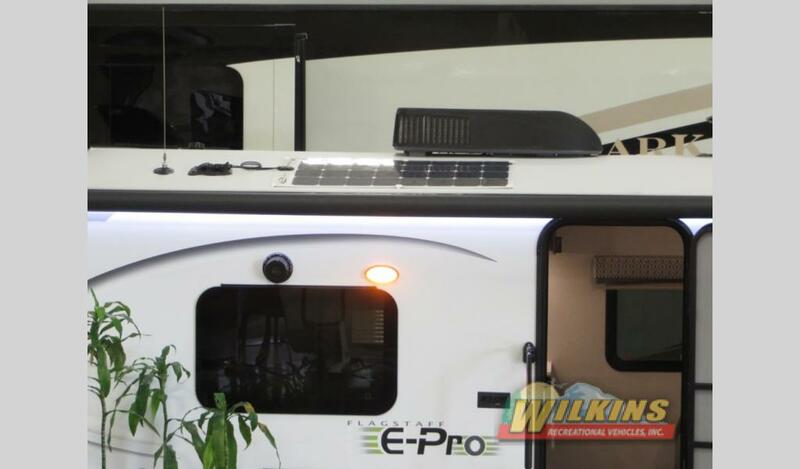 Available at the Wilkins RV Bath, NY location, the Flagstaff E-Pro is an ideal RV choice for environmentally conscious campers that are using a fuel efficient “crossover” or smaller SUV as a tow vehicle. We are excited to show off our new arrival, the Forest River Flagstaff 19FD Lightweight Travel Trailer. 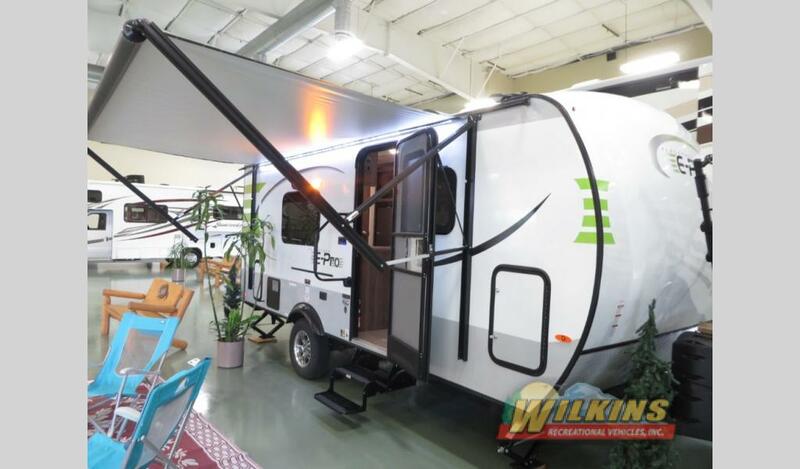 Visit us at our indoor showroom at our Bath, NY Location and check out this ground breaking new RV brand in person. 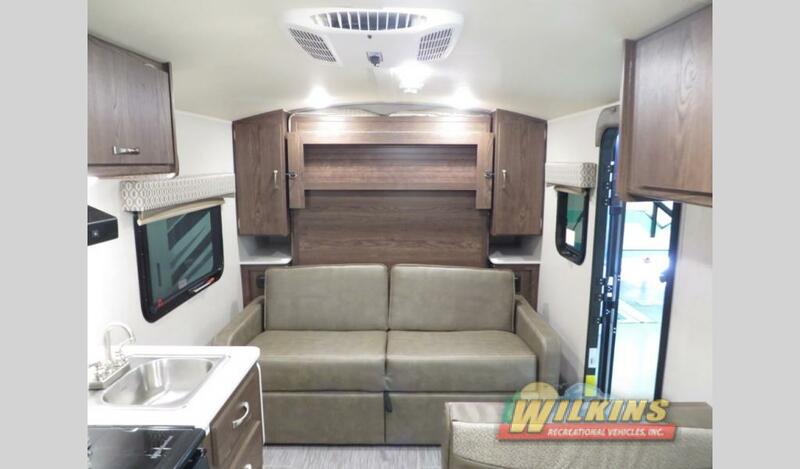 With polished alloy wheels, sleek exterior graphics, an aerodynamic front cap and frameless windows, this is an eye-catching trailer with an upscale, modern design. 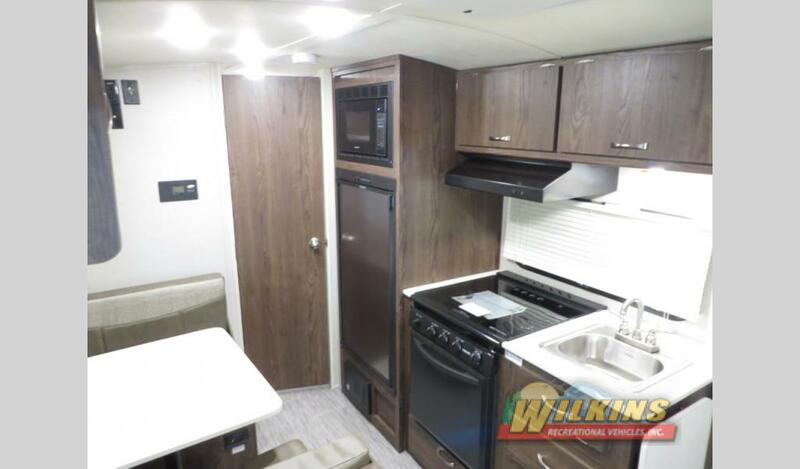 Inside, the E-Pro 19FD is smartly designed with a full bathroom, well equipped kitchen, plush sofa, dinette and space saving murphy bed, all wrapped up in a compact 20 foot length. 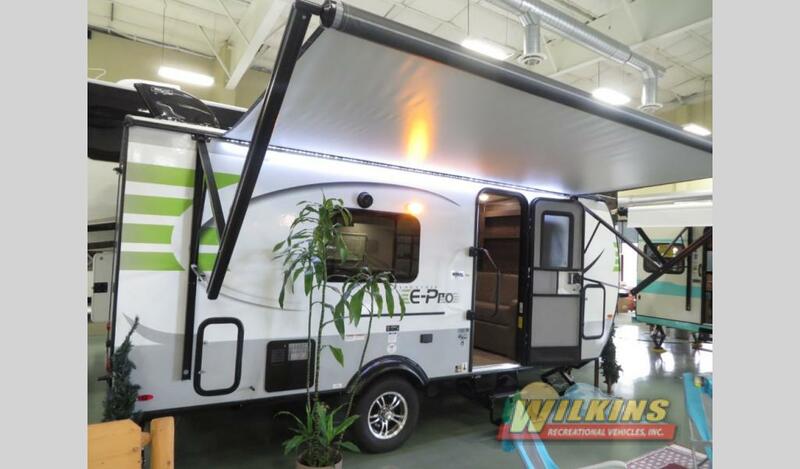 The 19FD model has a dry weight of less than 3000 pounds, making this an exceptionally easy to tow and fuel efficient travel trailer option. Not only does the fold away murphy bed provide extra space for a sofa, but this clever bed arrangement hides the mess of an unmade bed during daytime use. Flip up the bed and you are left with a neat and tidy interior. If your adventurous spirit is calling, check out the fun, new Forest River Flagstaff E-Pro Lightweight Travel Trailer. 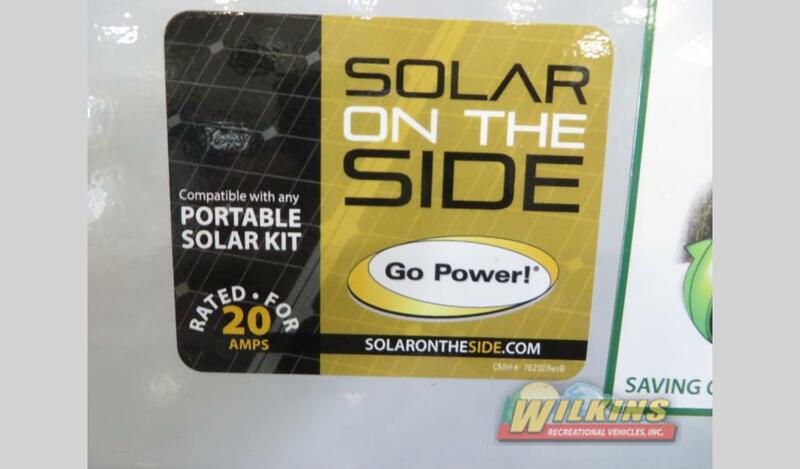 Contact Us at Wilkins RV in Bath, NY to see what all the buzz is about!